The medal is part of the "pin-up" thing. it does not make a lot of sense really, but I guess an ad doesn't have to. It just needs to sell things. It's pretty obscure. I don't think Don Draper would approve. Okay, a pipe does make a fellow seem smarter. And he has P.A.! A pipe smoker with good taste! Nothing unusual about that. 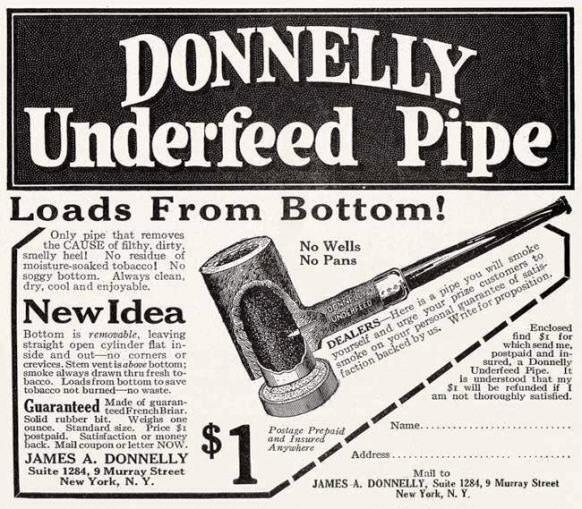 Aaaaaand Pipe Appeal! The big ox probably knocked her down.